God's word to Noah was to prepare NOW for a worldwide flood. God's word to Joseph was to prepare Pharaoh and Egypt NOW for seven years of famine. God's word to Jeremiah was to prepare the Jews NOW for seventy years of exile into Babylon. The key word in these historical examples was NOW! What does God's Word say for us to prepare for NOW? What are the tough decisions we need to make? 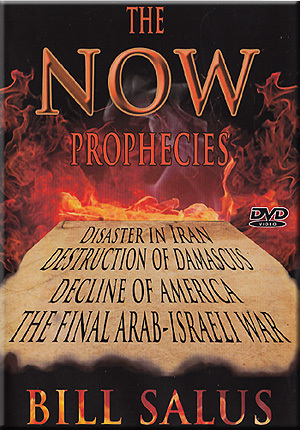 The titles of these critical NOW prophecies are: Disaster In Iran! Destruction of Damascus! Decline In America! The Final Arab- Israeli War! Christian, it is time to 'look up, for our Redemption draweth nigh'!